Data gathered by IndustryNet highlights the importance of the conveyor industry in the United States. While sales in all manufacturing increased by 0.07 percent over the past year, they have grown by 0.32%, more than four times as much, for conveyors. Job growth was also strong over the past year, with employment climbing 3.4% to 16,886 workers. From checked luggage transferred from planes to an airport carousel, to lollipops safely delivered into their cellophane sheaths, conveyors keep things moving. While conveyor manufacturers as a whole are doing well, some sectors are indicating more success than others. 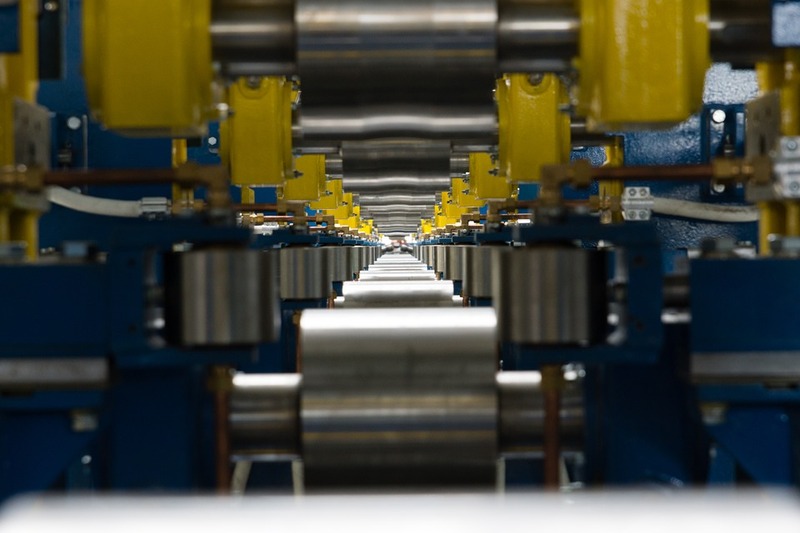 IndustryNet has gathered information on growth by specific segments of the conveyor industry as well as examining some of the market influences that are impacting conveyor manufacturers today. The most extensive cluster of conveyor companies, at 43 percent, is in the Midwestern area, bounded on the east by Ohio and Michigan, on the west by Nebraska and South Dakota, on the north by Minnesota, Wisconsin, and North Dakota, and on the south by Kansas and Missouri. The smallest number of conveyor firms, three percent, can be found in the New England states. Conveyor producers are almost as sparse, at five percent, in the Mountain region, stretching from Arizona, north to Montana. Throughout the rest of the country, they are relatively evenly distributed, ranging from nine percent in the West South Central district encompassing Arkansas, Louisiana, Oklahoma and Texas, to 12 percent in the southern Atlantic states along the East Coast from Maryland to Florida. Of the companies in these regions, three of the top ten in sales growth are in Michigan and two, including Habasit America, Inc. who reports the most substantial number of employees, are in Georgia. Three of the top ten firms by employee growth are also in Michigan, but the leading company in this category, by the number of employees, is Beumer Corporation of Summerset, New Jersey. Another leader in employment growth in the Middle Atlantic region comprised of New Jersey, New York, and Pennsylvania, is Industrial Services and Installation Inc.
Across all sectors of the conveyor industry, five percent of companies reported an increase in sales, while four percent disclosed a decrease. In sales growth, two percent noted an increase while one percent divulged a decline. While many segments of the industry indicated no change in sales, two, Food Processing and Handling, and Bulk Handling, have shown precipitous drops of 45 percent and 39 percent respectively. Segments showing growth in sales are Belt conveyors at 0.26 percent and Conveyor systems, at 0.48 percent. While Conveyor Systems and Belt Conveyors have each shown a gain in the number of employees of over two percent, employee growth in other parts of the industry does not correlate well with an expansion of sales. While employment growth is stable across many types of conveyors, Food Handling and Processing shows a rise of almost three percent and Overhead Conveyors show a whopping 25 percent growth. Screw Conveyors, while stable in sales shows a steep decrease by nearly 24 percent in the number of employees. No industry exists in isolation. Due to a rise in the demand for "fresh" and unprocessed foods, as well as a growing distrust of "Big Food," major brands at mammoth food companies such as Kraft, have seen their sales decline. While products are in development to meet the preferences of the millennials who are driving the "natural" food demand, newer offerings are expected to have smaller margins. It is unlikely that there will be a rise in capital investment in the face of the current pessimistic outlook. That conveyor segments such as Food Handling and Processing and Bulk Handling would experience a downturn, seems inevitable. Why has IndustryNet observed a decline in employment in Screw Conveyors when sales have remained stable? It is necessary to look at customers of this sector, to discover an answer. Screw conveyors are used to move large quantities of liquids and granular materials. The handling of wheat is a significant function of this type of conveyor. For the first time in five years, the USDA expects the global output of wheat to decrease, creating a nervous outlook for businesses that serve that industry. Some companies, such as Habasit America Inc, of Suwanee, Georgia, are thriving. At 350,000 square feet, Habasit is in the top ten conveyor companies by plant size. It is also in the top ten by the number of employees and by sales growth, as previously noted. Habasit is considered number one worldwide in the belting sector, a growing segment in both sales and employment. Habasit was founded in 1946 in Basel Switzerland to address the need for high quality power transmission and conveyor belts. The company built itself on the concepts of belting innovation and continuous improvement. Habasit specializes in lightweight belting. They offer a wide array of products for integration into complete quality solutions, bolstering the confidence of growing companies to invest in upgraded equipment. In line with cultural changes demanding ecologically favorable processes, Habasit developed the Green Concept statement and label, making their products more attractive to environmentally conscious enterprises. As logistics, fulfillment, and distribution of products become increasingly important in this era of online marketing, businesses turn to the Intelligrated group of companies, now a part of Honeywell. Intelligrated Systems Kentucky, Inc. is the top conveyor company in size, at 1,500,000 square feet. Intelligrated, Inc., of Cincinnati, Ohio, holds the top spot by the number of employees, with a workforce of 500. Intelligrated is entirely customer centered. 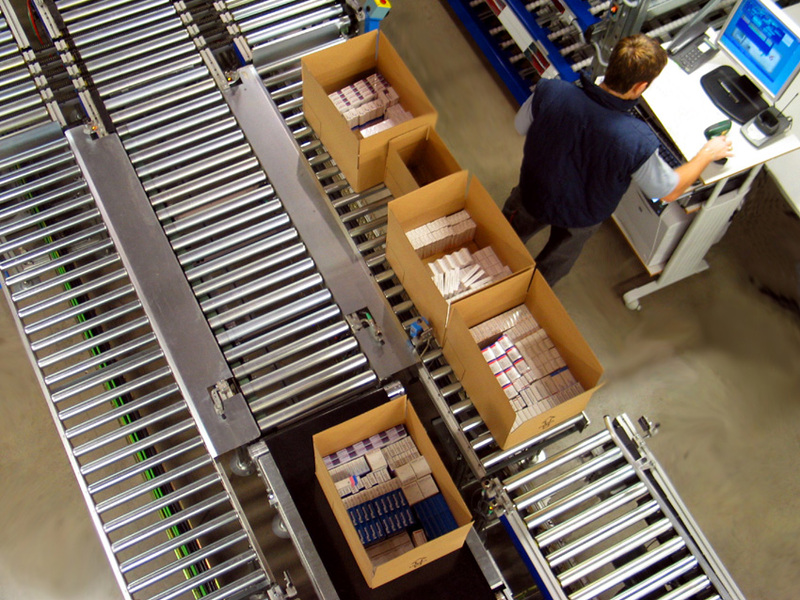 As fulfillment and distribution centers expand, Intelligrated offers twenty-four seven technical support. Their services include system assessments, training, maintenance, upgrades and modifications, and OnTimeParts™. They design, engineer, and build systems and provide the software to run them. Their customers expect optimized performance and most importantly, a return on their investment. Fata Automation, Inc., in Auburn Hills Michigan, one of the top ten companies reporting sales growth, has refused to put all their eggs in one industry basket. With their proximity to Detroit, they serve the automotive industry, but their reach also extends to marine, security, renewable energy, car parking, electronics, pharmaceuticals, white goods, and food. Their diversification has enabled them to weather downturns in individual segments of the manufacturing industry. IndustryNet gathers comprehensive and up-to-date information on over 400,000 manufacturers and suppliers of 10,000+ products and services, including more than 600 U.S. conveyor companies. A free online search will not only yield a list of vendors to meet a business' needs, but allows the user to find the most promising roads toward profitable growth. Build a list of suppliers in your area, get a quote, contact a company directly, connect on social media, download catalogs, and more, all in one place, and all for free. Related Companies: BEUMER Corporation, FATA Automation, Inc., Habasit America, Inc., Industrial Service & Installation, Inc., Intelligrated Systems Kentucky, Inc., Intelligrated, Inc.